Gîte "L'Écurie des Champions", a huge living room with a nice terrace. Air-conditioned house with four bedrooms, three bathrooms and a jacuzzi. Rental from Saturday to Saturday, possible weekend. 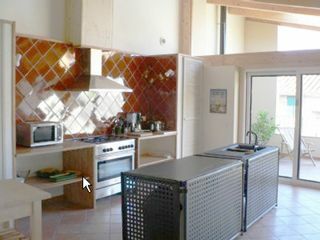 Price : 500 - 1990 Euros per week. 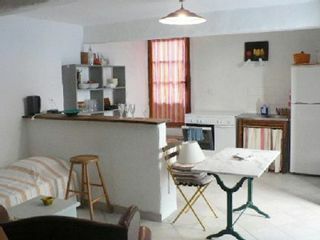 Gîte "Four à Pain", capacity up to 5 people. 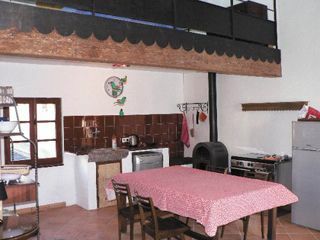 A living romm in ground floor with a double bed, an open kitchen avec dishwasher, a dining room and a bathroom. Two beds upstairs. Garden in common with the other lodging. Price : 469 - 720 Euros per week. Gîte "Coffre à Grains", capacity up to 4 people. A living romm in ground floor with two single beds, an open kitchen and a bathroom. A double bed upstairs. Garden in common with the other lodging. Price : 469 - 620 Euros per week.